New Thinking on Food: Cook with Me at Bodnant! Cook with Me at Bodnant! I've loved sharing my recipes with you since starting this blog in 2010. My aim has always been to show that healthy eating is easy as well as appetising. I have a lot of fun making each dish look tasty and tempting in the photos and now there's a chance for you to sample the food too! Next Sunday, 25th August 2013, I'll be giving a demonstration of dairy free cooking at the Cookery Festival being held over the Bank Holiday Weekend at Bodnant Welsh Foods Centre in the Conwy Valley. It's free to enter and there will be a variety of events going on each day so do come along if you live in North Wales. I'll be there around 3pm on the Sunday and, if you like chocolate, you definitely won't want to miss sampling my Extra Special Chocolate Brownies! Click here for more information about the Festival and, if you are there, do come and say hello! In October, I'll be teaching a one day Cookery Course at the exclusive Bodnant Cookery School in Conwy. If you would like to cook alongside me in the wonderful facilities, this is your chance and I would love you to join me. The course takes place on Saturday 19 October 2013 and is all about baking the dairy free way. As it's National Baking Week, it seemed like the perfect time to offer some healthy alternatives to traditional baked recipes which are so often loaded with sugar, eggs, cream and fat. Over the years, I've lost count of the number of times I've been asked "How ever do you make cakes without eggs?" so I'm really happy to share with you my tried and tested methods of making cakes and cookies as well as savoury scones and tartlets. As with all my recipes on this blog, you won't find any eggs or dairy ingredients and very little sugar too. To me, choosing what to eat has everything to do with the impact it has on my health. I love food and I love the pleasure I get from growing, preparing and eating it. It's really not that difficult to enjoy eating a healthy diet. It's just a simple commitment to eat food that does my body, mind and soul good. We all have different body types and different responses to food so no one way of eating is right for everyone. As more people are being diagnosed with food intolerances, it's even more important for each of us to adapt our eating habits to meet our individual health needs. Far from being restrictive, changing our diet can be an opportunity to try out new ingredients and new methods of preparing food. It can revitalise our taste buds as we become more conscious of each mouthful of food we eat. It can also open up a whole new way of cooking that can transform our life as well as our health! When I stopped eating meat and animal products thirty three years ago, there were few cookbooks that could teach me how to cook food free from animal ingredients. However, I loved cooking (and eating!) so it didn't take me long to find new ways of making fantastic meals that even my meat-eating friends enjoyed! Baking can be a wonderfully absorbing and creative hobby. When we bake mindfully, we put something of ourselves into the mixing bowl and this expression of love and care is like a magic ingredient that produces amazing results! This course will appeal to anyone who cares about what they eat and who loves making food delicious. Whether you are a complete novice or an experienced cook, newly diagnosed with a dairy intolerance or well accustomed to eating dairy free or maybe you simply want to expand your cooking repertoire, you will be inspired to create some fabulous food. You will have plenty of hands-on practical experience as you prepare light and crispy pastry without animal fat, bake scrumptious cakes and savoury scones without milk or eggs and produce a creamy dessert without cream! A light lunch is included which we'll eat together in the spacious dining area overlooking the beautiful Conwy estuary. 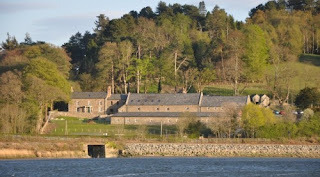 Click here for all the details on the Bodnant website and to book your place. While October may seem like a long way off, make sure you reserve a place for yourself now as numbers are limited. 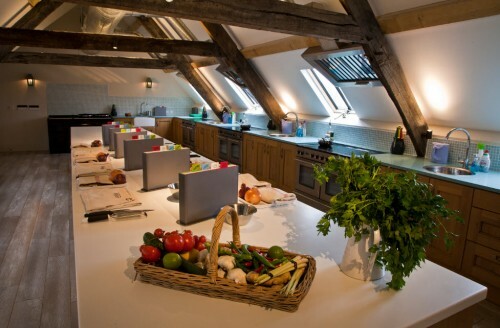 Yes I’ll be teaching more cookery courses on healthy eating at Bodnant in the New Year. The first one is on Saturday 11th January 2014. The Cookery School are just finalising next year’s programme so I’ll have full details soon which I'll be posting here. Do come along and try out the Health for Life Club too. We usually meet on the first Saturday of each month and our next meeting will be on 7th December. We’ve recently moved the venue to the DPLA centre in Deganwy. Just go to my website and look under Events at www.newthinkingnewliving.com Hope to see you there!